For an interview with Michael Reverchon, click here. I'd only a vague prior notion of the Job amp. Minimalist. Ultra-wide bandwidth. DC coupled. High-tech SMD circuitry. Based on a Swiss Goldmund platform. Or vice versa. Perhaps the two were related like Klaus Bunge's American Odyssey Audio amps are to their German Symphonic Line originals? I envisioned a proven circuit made famous by a luxury audio brand. Now it had been licensed for repackaging in a modest casing to sell direct for pennies on the dollar whilst the original was probably off to even better things. My inner recession beat officer felt those telltale spine tingles come on. What was the actual green damage? "The Job 225 is $1.499. It only sells in the USA." The tingles died off. Coitus annihilatus. I was in Switzerland. Here wall power is 230V. Drat! I told Anne. Her response a few days later was unexpected. "I checked with the factory. They propose we just make a 220V unit so you can test it. Please let me know what you think." What did I think? Resourcefulness. Fast-drawing Anne had it. Was her last name Oakley? Even though the only beneficiaries of a review would be Americans—I usually view our outfit as global to address the entire English-speaking community—this seemed like a story worth telling. Time to learn the whole background. The Job website of course spelled out the basic specs. 125wpc stereo amp. ±15% over/under voltage tolerance centered on 117V. They claim that sold through regular high-end retail channels, the same circuit dressed up in fancy threads would go for $6.000 to $15.000. Since Goldmund had sold a very similar circuit, those were likely actual figures. And there was more. 10Hz-100kHz bandwidth ±0.5dB. Relaxed to ±3dB this becomes 2Hz-900kHz. Input sensitivity for full rated output 0.75V. Input impedance 51kΩ. Slew rate better than 60V/ms. Rise time less than 200ns. Propagation delay better than 80ns from 2Hz-200kHz. Noise exceeding -100dB A-weighted. Power supplies following the single power toroid in dual mono. Max power consumption for this obviously class AB circuit 450 watts. Internal operational temps 45°-65°C. Weight 15.4lbs, dimensions 11.8 x 11.2 x 2.4" WxDxH. Dark grey anodized finish. Plenty of screw heads visible. Heat sinks out the back. Power rocker on the front. Iron curtain Soviet chic. At Zhiguli/Lada pricing too. On Goldmund's site they talk of acoustical grounding technology as a development of the original Job circuit they'd used for 20 years. Digging deeper this was fancy talk for high damping factor aka low output impedance. Which usually means copious use of negative feedback. Zero mention of NFB however. "To eliminate time distortion (an unnatural delay of higher audio frequencies relative to lower ones) Goldmund amplifiers have bandwidth of approximately 3MHz. That's roughly 100 x that of a typical audio amplifier. 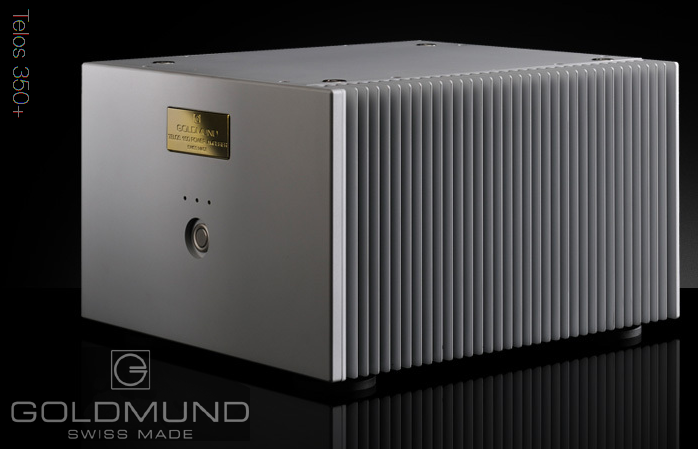 Through a Goldmund amplifier, a 20kHz tone is delayed only 100ps relative to a 20Hz tone. 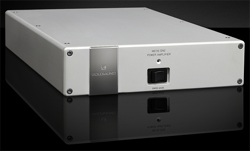 That's performance no other audio amplifiers can match." This was fancy for phase shift elimination in the audio band. Spectral is another brand with exploded bandwidth. Though impressive on paper, it can cause oscillation. Spectral thus always recommended that special cables accompany their amps to keep them stable. Goldmund instead talked of protection circuitry and how theirs had to be faster than their circuit's own 400 billionth/second rise time. Was the Job 225 simply a circuit Goldmund had since superceded with a next-gen platform to make a low-cost reissue an attractive side venture that wouldn't steal sales from their gold-plated stuff? A hand-me-down vintage Goldmund for Arcam coin then? If so, why limit sales to the American colonies? Wasn't lack of discretionary hifi funds a global crisis? A quick Google search showed how this amp even sold via Amazon. Bypassing the traditional dealer network clearly was the focus. That's where reviews come in. Very strategic. 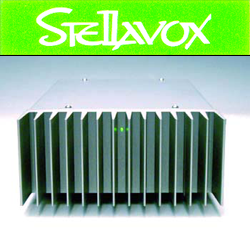 How about the Stellavox PW1 pro amplifier? That too was based on the Goldmund platform. And here I thought it was only the Chinese who specialized in repackaging the same guts under multiple brand names. Though it is hoary Swiss tradition to make money. The more the merrier in fact. And the Swiss still had to get even with the American government for successfully suing their UBS bank to the lively tune of $780.000.000 for allegedly assisting wealthy American tax evaders with their off-shore banking needs. Time to test Anne's resourcefulness again. Inventiveness is a beautiful thing. Wheel chairs are a pain to store in car trunks. What if you could fold their wheels? VitaminsDesign propose just that. 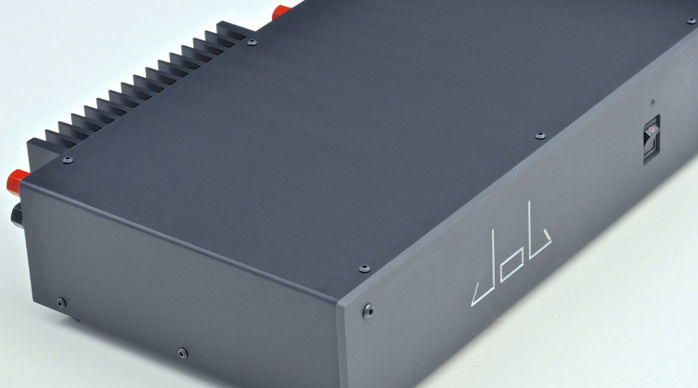 Could the Job 225 be the poor man's very clever ultra hifi crutch? "Job Electronics Inc. is a California company to closely control US sales. We gave 225 production to the same Swiss firm which makes Goldmund electronics, Digital Audio SA of Geneva. Job Electronics and Digital Audio SA are part of the AIHC Group. The 225 uses the latest version of the JOB circuit also used by Goldmund and Stellavox. These are all various iterations of a similar schematic. They all are Mosfet-based class A/B, low feedback, wide bandwidth and unconditionally stable (any speaker, any cable). 9 generations of R&D teams have worked on this schematic to progressively refine it since the 1970s. 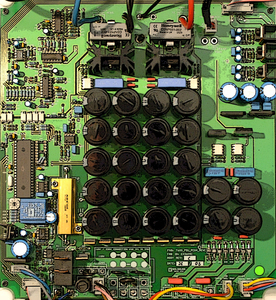 The Stellavox PW1 too was based on the JOB circuit. Its current equivalent would be the Goldmund Metis One which uses the circuit's latest version. At the opposite end is the Goldmund Telos 5000 which pushes this circuit to 5000w/8Ω. The fact that the JOB/Goldmund circuit simply works and sounds better is an open discussion of course but what's undeniable is that the number of engineer/years spent refining it has no equivalent in our industry."